Microsoft has said it will issue a "release preview" of Windows 8 in the first week of June as it prepares to launch the desktop operating system update later this year. Windows boss Steven Sinofsky revealed the plans at a developers at an event in Japan, All Things D reports. 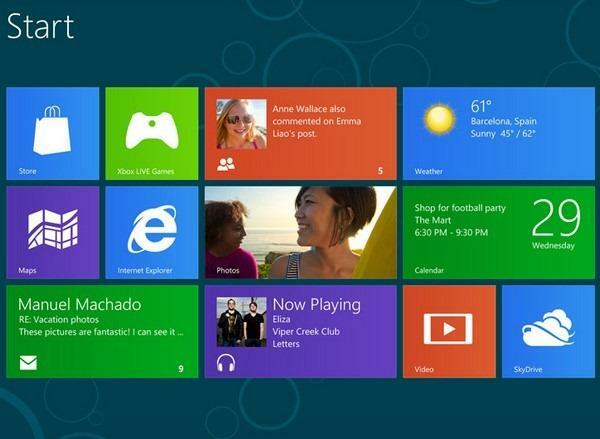 Microsoft released a developer preview last year and a consumer preview in February. The Redmond, Wash., software maker has yet to commit to a launch window for its next-generation of Windows, but recent indications have pointed to October as the likely release month. Bloomberg reported last month that, according to sources familiar with Microsoft's 2012 roadmap, the company is aiming to complete work on Windows 8 by summer. The new Windows will sport a redesigned interface, as well as new Windows Store and digital delivery features that follow a lead set by Apple last year with the release of OS X 10.7 Lion. An official blog post from the company last week announced that Windows 8 will come in three forms: Windows 8, Windows 8 Pro and Windows RT. The "RT" branding is reserved for the version of Windows that runs on the ARM architecture. Windows RT represents a key component of Microsoft's tablet strategy, though the company faces an uphill climb in attracting developers to Windows on ARM since x86/64 and desktop software will not run on it. In February, rival OS maker Apple also released a preview of its upcoming software release. OS X 10.8 Mountain Lion is scheduled for release this summer and will bring Apple's desktop OS in closer alignment with iOS.